This is a random wee post. Last night I attended a wedding reception (my friends brothers) and had done my friend, her mum and her aunts nails. Had good intentions of doing a full post on that but never got found to taking pics but heres a quick pic of mine instead (they matched my dress). 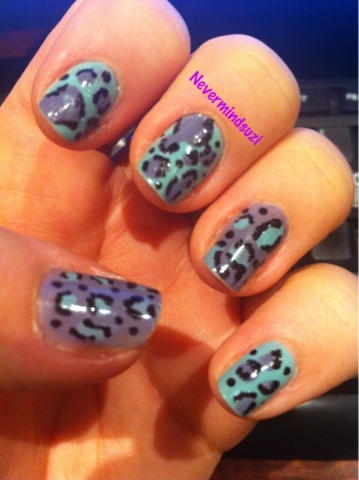 I like how you have all different size spots, I'll have to try that next time I do leopard print.